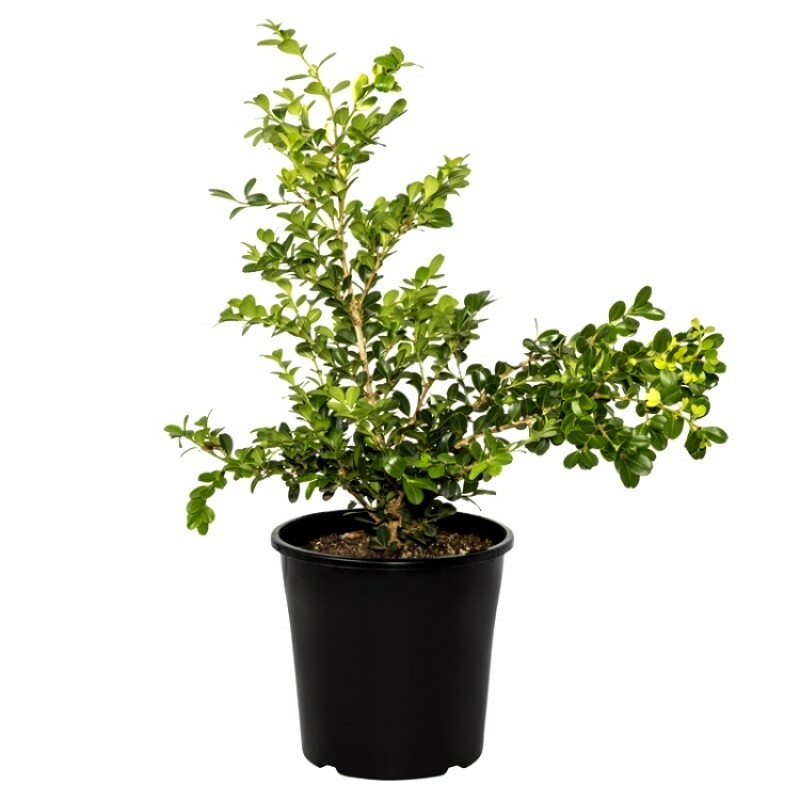 Littleleaf Boxwood is an evergreen shrub that is profusely branched and widely used in landscaping. There are around 70 species of boxwood shrub mostly derived from the two common boxwoods in cultivation: common boxwood and littleleaf. Littleleaf boxwood hasn’t been seen in the wild before, but has been in cultivation in Japan since the 1400’s. No one knows its place of origin, but it’s speculated that it was created by gardeners in hybridizing or has simply gone extinct in the wild. The Boxwood in the familiar dwarfed state is a common shrub, but if it is left to grow naturally it can reach 12 –15 feet in height. The Boxwood is the only evergreen that has ever been utilized in medicine. The wood in its native countries is considered diaphoretic, being given as an alterative for rheumatism and secondary syphilis. It has been found narcotic and sedative in full doses. A volatile oil distilled from the wood has also been utilized in cases of epilepsy. The oil has been also used for toothaches. It is also thought by some to have anti-flu efficiency and is even thought to be a complementary treatment for HIV. It was used in fevers, a tonic for stomachs, an antiperiodic, and a stimulant. Useful for hedges, ground cover, garden plants, topiary plant.